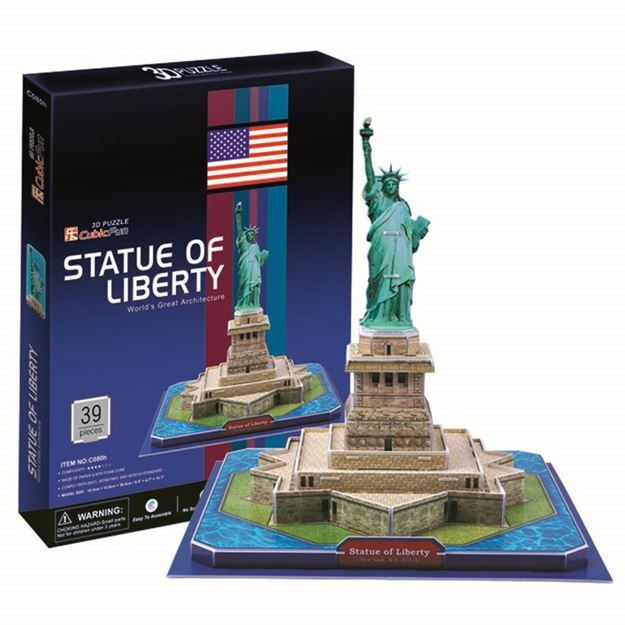 Completion of this gift from France to America came 9 years after construction started in 1875 with the statue being shipped from France to New York in 214 crates and reconstructed on Bedloe Island, now known as Liberty lsland. This 3D puzzle is made of paper and expandable polystyrene foam board, it is easy to assemble without the use of any other tools or glue. No of Pieces: 39. Model Size: 26cm x 26cm x 26.2cm. Age: 8+ years.